When Do the Police Need to Read You Your Rights in Wisconsin? - Crooks, Low & Connell, S.C. This is known as the Miranda warning. 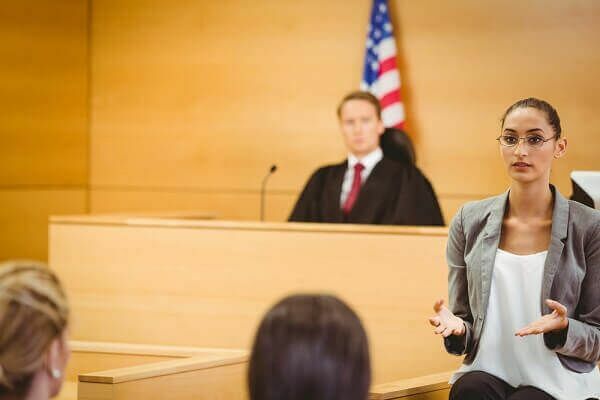 While it has been popularized in books and on TV, the Miranda warning has been a fundamental component of our criminal justice system since the U.S. Supreme Court’s decision in the 1966 case of Miranda v. Arizona. In that case, the Supreme Court held that a criminal suspect’s statements made during a custodial interrogation are admissible as evidence in court only if law enforcement informed the suspect of his or her constitutional rights prior to the start of the interrogation. These issues, among others, have led to numerous court cases in which the reading of the defendant’s Miranda rights served as a key issue in determining whether the defendant could be convicted at trial. For example, in one recent Wisconsin case, the Court of Appeals ruled that the police had improperly failed to read the defendant’s their rights and that the defendant had the right to argue that this failure unfairly prejudiced the outcome of his trial. After confessing to the crimes alleged, the defendant pleaded no contest and was convicted without a trial. His defense counsel, appointed by the State Public Defender, did not challenge the failure to read his Miranda rights. Upon learning of the Miranda issue, the defendant’s appointed post-conviction lawyer challenged the defendant’s conviction on the basis that his defense attorney provided ineffective assistance of counsel due to the failure to challenge the admissibility of the defendant’s confession. While the lower court held that the defendant was not “in custody” at the time of the interrogation (and therefore not entitled to the Miranda warning), the Court of Appeals reversed and remanded the case for further proceedings. However, the “tipping point” in the Court of Appeals’ decision was the fact that the officer “told Frazier in a commanding manner, ‘I don’t want you calling anybody until we’re done talking, okay’ and then firmly closed the door to the interview room.” Based upon this occurrence, the Court of Appeals ruled that a reasonable person in the defendant’s situation would “conclude that he or she was not free to leave.” This is the hallmark of a custodial interrogation, and it triggers the obligation to provide the Miranda warning. When facing criminal charges in Wisconsin, it is critical to identify all potential defense strategies available. In addition to challenging the prosecution’s evidence of guilt, this will often include raising objections to police and prosecutorial mistakes that mandate the exclusion of certain evidence from trial. If you confessed or made incriminating statements during a custodial interrogation without being read your rights, your statements may be inadmissible in court. And if the prosecution does not have other evidence to prove your guilt beyond a reasonable doubt, then you may be entitled to a “not guilty” verdict at trial. As a result, if you are facing criminal charges in North Central Wisconsin, it is important that you speak with a defense attorney even if you believe that you are guilty of the crime (or crimes) alleged. Innocence may not be your only defense. But in order to assert all of your defenses effectively, you will need skilled and experienced legal representation. Are you facing criminal charges in North Central Wisconsin? If so, we encourage you to contact us promptly for a confidential consultation. To speak with an attorney at Crooks, Low & Connell, S.C., about your defense, please call (715) 842-2291 or get in touch online now.